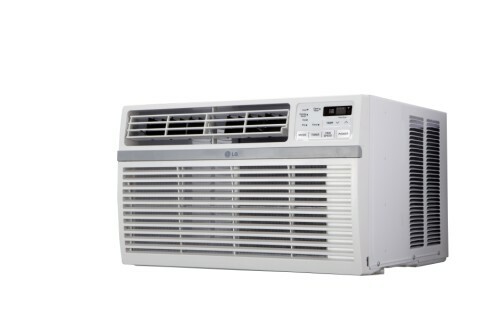 The LG 12,000 BTU 115V window-mounted air conditioner is perfect for cooling a room up to approximately 550 square feet. 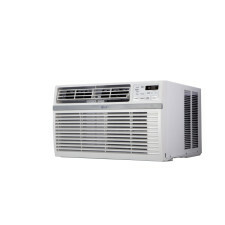 You will cool a lot and save even more with this unit's energy saver function, 24-hour on/off timer and a 12.1 Energy Efficiency Ratio. With its full-function remote, you can even get your cool on from across the room. LG's patented Gold Fin anti-corrosion coating provides a protective shield so the unit lasts longer. Window installation kit included.